19.08.2016. To display innovations, to make them tangible and to develop them further – that is the aim of the new Rittal Innovation Center in Haiger. The centre provides a very special insight into the value chains of control and switchgear manufacturing. In the 1,200-m² building, the enclosure and system provider is emulating an actual manufacturing operation. It is a place that brings together customers and developers from Rittal and Eplan, giving them the opportunity to discuss all process steps directly at stations that are outfitted with machinery and tools, based on specific everyday situations. They can then develop solutions ranging from engineering, material delivery, component preparation and processing and right through to the finished product. To boost productivity, to consistently innovate and thus manufacture and deliver even faster: The challenges in control and switchgear manufacturing are significant, just like those in mechanical engineering. Further gains in productivity can only be achieved through consistent standardisation and optimising entire value chains, as well as through data consistency. But the challenges presented by each manufacturing operation are as individual as the companies themselves. 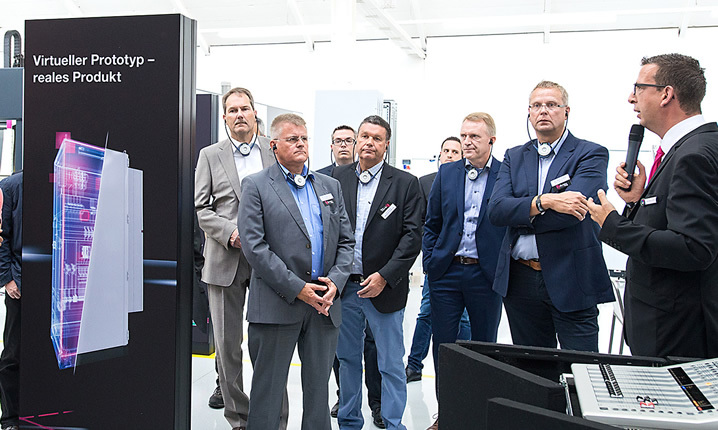 In order to offer a solution for customers, Rittal and its sister companies Eplan and Cideon, have now established a completely new Innovation Center in Haiger, central Hesse. At the Rittal Innovation Center, customers, developers and salespeople from Rittal and Eplan will be able to experience and understand – at first hand – solutions for increasing the efficiency of the entire value chain, or to analyse, experiment, and development new ideas. “We do not want to just show and explain innovations to our customers at the Innovation Center. 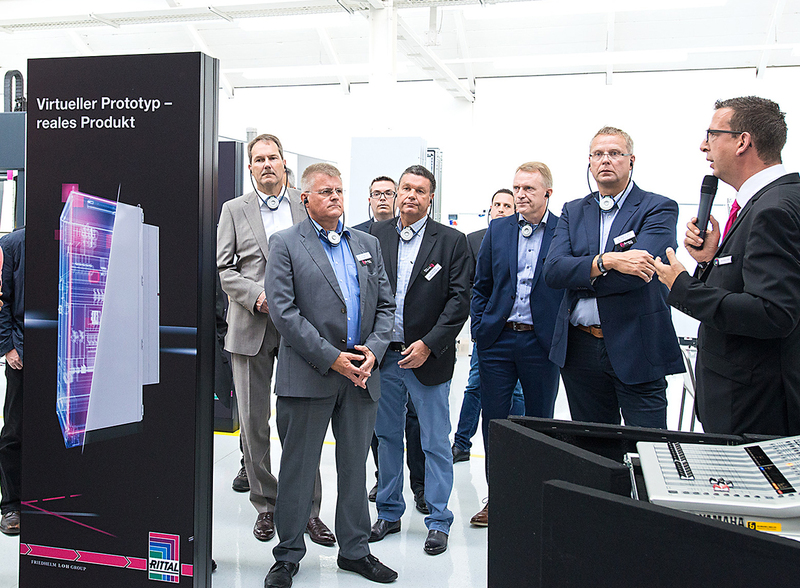 On the contrary, we will be developing solutions together with them and continuing to adapt our products to the demands of the market”, explained Jan-Henry Schall, Head of the Rittal Innovation Center. The Innovation Center reflects the value chain in control and switchgear manufacturing, with machinery, data and products: “In addition to providing training sessions for customer groups, we will also be teaching those staff who have contact to our customers, so that they can become familiar with their problems. “Developers can meddle around on the machines and equipment directly, come up with new ideas and try them out.” The Innovation Center forms part of a completely new training concept based on making Industry 4.0 (the Internet of Things) in control and switchgear manufacturing understandable in a “hands-on” way, Mr. Schall added. 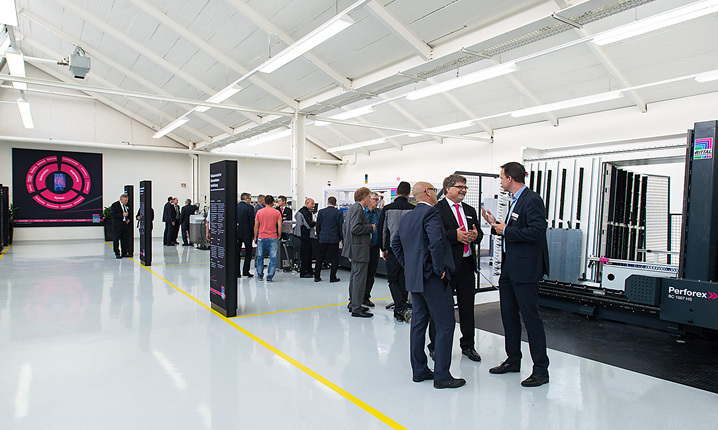 Specifically, at the Rittal Innovation Center, this means running through every single process step, from engineering and system technology to system configuration, including the automation of manufacturing. The focus is on the virtual prototype of an enclosure (“the digital twin”) as a unifying element. In the “Engineering“ area Rittal, Eplan and Cideon show how plant constructors can speed up their engineering planning processes using intelligent tools. There are also demonstrations of how you can increase efficiency for instance by using device data from the Eplan Data Portal and through engineering solutions such as Eplan Electric P8, Eplan Pro Panel, Rittal Therm, and Rittal Power Engineering, as well as the latest product configurators. In the “System” section, Rittal is providing realistic views of the advantages of “Rittal – The System”. Prospective savings and major benefits of the Rittal components, starting from enclosure and housing systems, power distribution systems and through to climate control solutions, are explained by using real applications. 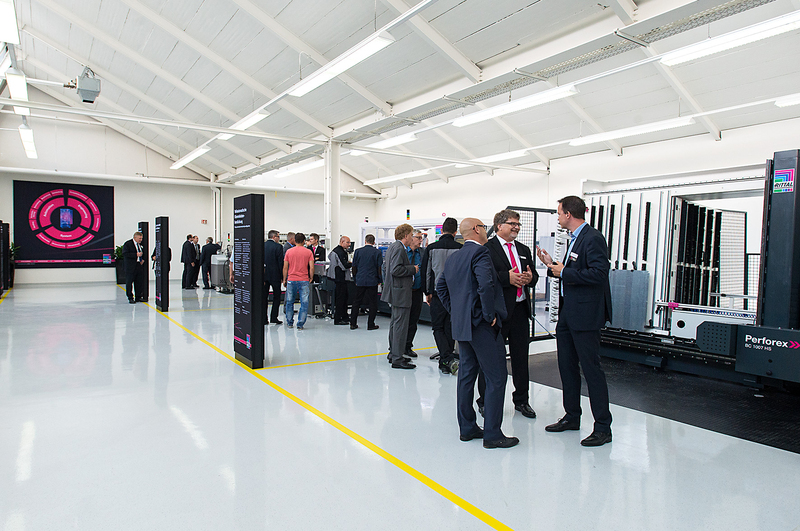 In the “Automation” area, the highly efficient solutions from Rittal Automation Systems that support manufacturing and the automation of the workshop can be experienced. They range from handling tools for streamlined processes, beginning at incoming goods, via mechanical processing systems such as machining and 3D laser centres; or automatic terminal block assembly, through to intelligent data-assisted wiring aids. Image 1: New perspectives: Rittal and its sister companies Eplan and Cideon have established a completely new Innovation Center in Haiger, central Hesse. At the Rittal Innovation Center, customers, developers and salespeople from Rittal and Eplan will be able to experience and understand – at first hand – solutions for increasing the efficiency of the entire value chain, or to analyse, experiment, and development new ideas. 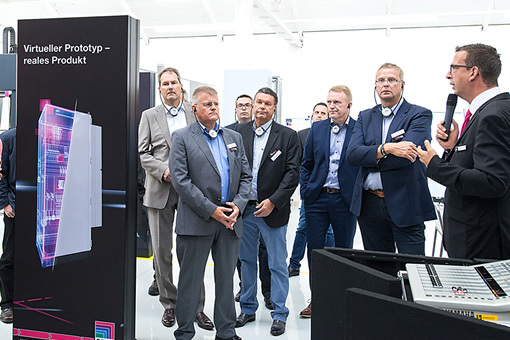 Image 2: Dialogue: The Innovation Center forms part of a completely new training concept based on making Industry 4.0 (the Internet of Things) in control and switchgear manufacturing understandable in a “hands-on” way, explains Jan-Henry Schall, Head of the Rittal Innovation Center.